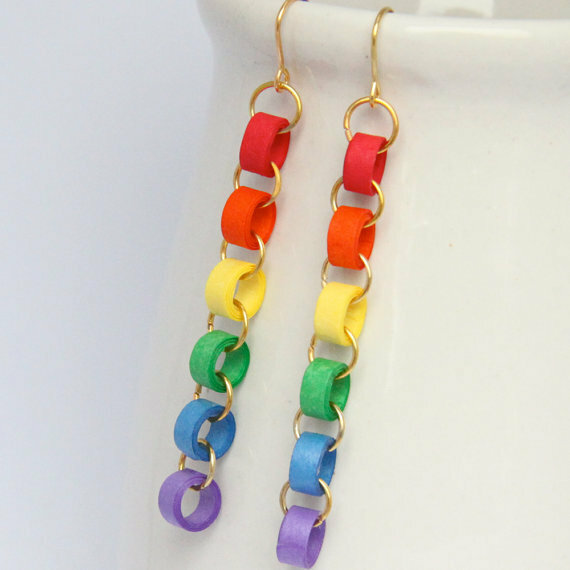 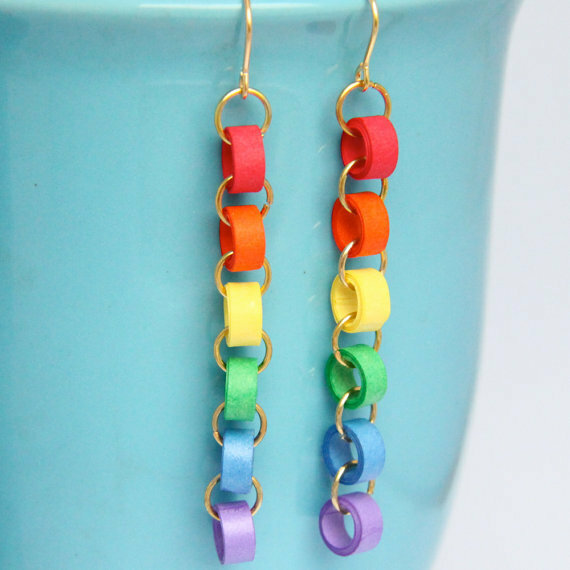 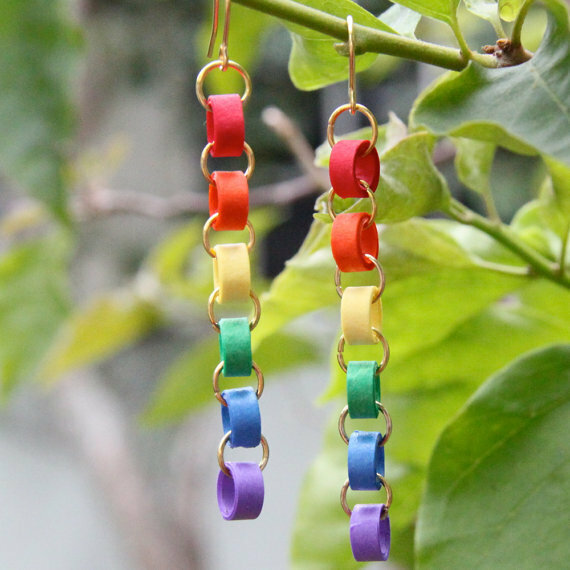 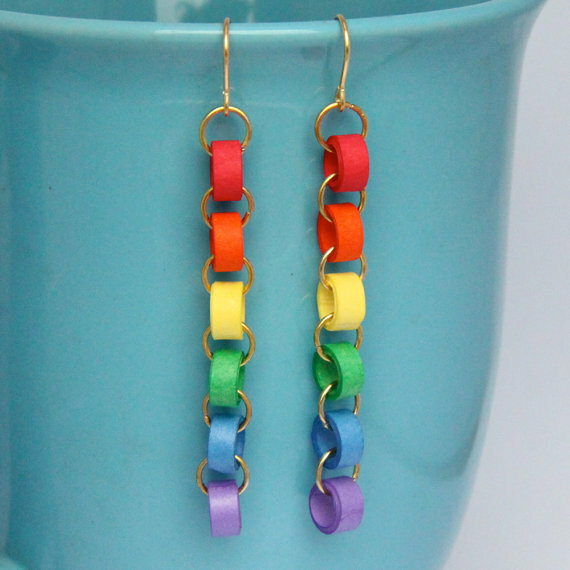 These modern eco friendly chain earrings are handcrafted by the art of paper quilling. 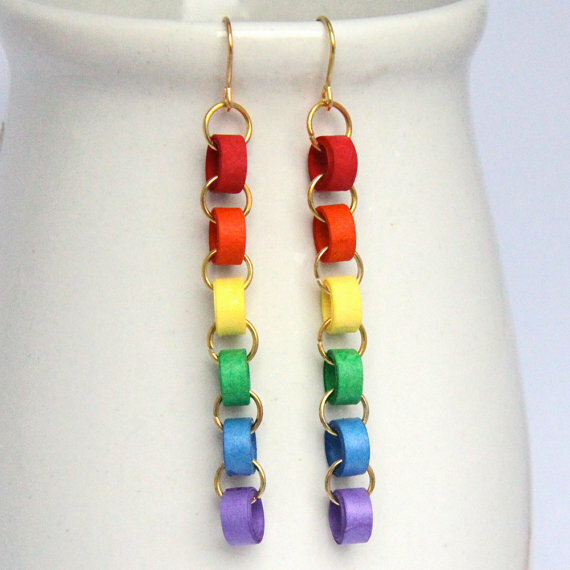 Cute, chic, unique, and sure to get many compliments! 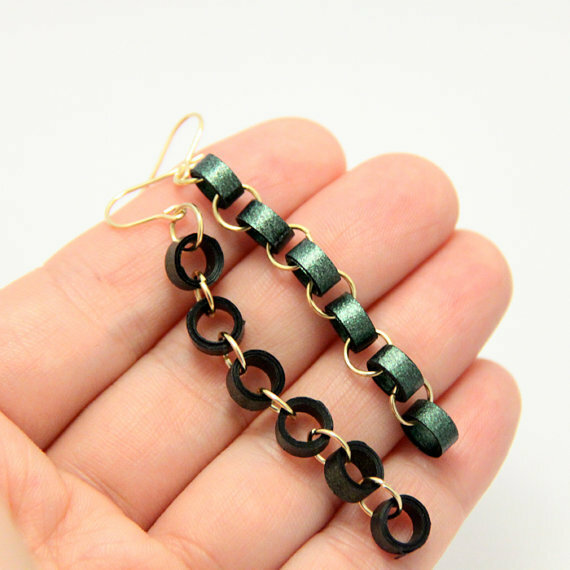 If you would like a shorter or longer pair, send me a message and I will put up a listing just for you, price would differ depending on how many loops in the chain.